Back when I worked in an advertising agency, one of the things I did was help create taglines for businesses. And what I noticed more often than not was that taglines made our small business clients absolutely crazy. This was because many of these businesses believed that a tagline had to be the be-all, end-all perfect phrase that defined their business for all eternity. But that’s waaay too much pressure to put on a tagline. And it’s not true. So what is a tagline, exactly? At its most basic, a tagline is a phrase, usually situated near your logo or in your website’s header that succinctly communicates your brand’s unique message to your intended audience or likely buyers. The best ones convey an immediate benefit and the essence of the brand. Taglines are especially important online because of the vast competition on the web and the edifying fact that you’ve got just 3-7 seconds to catch someone’s attention, depending on which study on web surfing behavior you read. In a sea of competing sites, you have to do something to get the attention of your ideal audience, and a good tagline can help you do that. Unfortunately, if you research “how to write a tagline” on Google, you’ll get over 7 million results and a metric ton of conflicting advice, much of which places such a heavy burden on what a tagline needs to accomplish that you may give up in frustration on creating one at all. 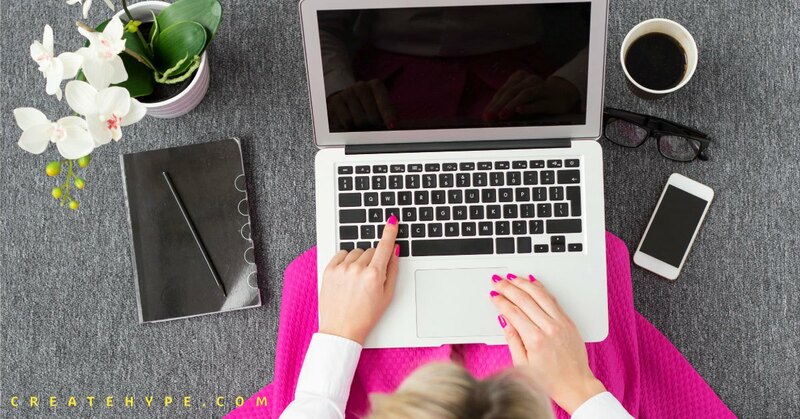 All you need to do with your tagline, especially if you’re just starting out in your creative business or not yet well-known in your niche, is give your likely buyers a compelling reason to stick around your website, blog, or online shop to learn more about your creative offerings. And that’s it. So how do you create a tagline? The first order of business before you begin brainstorming tagline ideas is to get uber-clear on who your most likely buyers are and how you serve them, because everything flows from that. I can’t overstate the importance of this. Once that’s done, the easiest way to create a tagline when you’re just starting out is to use this simple formula: [Thing You Do] + [Who You Do It For]. Remember, the goal here is simply to give your likely buyers a reason to stay on your site and explore. You’re not trying to convince them to buy anything or to become your BFF, you just want to grab ‘em by the eyeballs long enough to get them interested in finding out more about you and your business. If you want to add a little more “oomph” to this basic tagline, throw a colon after it and further define your brand’s essence, your personality, or more about who you serve. Wedding Photography for Punk Rock Brides: Your Story, Told Your Way. No Clichés Allowed. Caveat: Most branding and copywriting experts will tell you to be clear, not clever, and I wholeheartedly agree, but there’s nothing wrong with adding some personality into the mix. Because again, what we want is for the right person – your most likely buyer – to find a reason to stay on your site and find out more about what you have to offer. Keep in mind, the “thing you do + who you do it for” is only one kind of tagline. 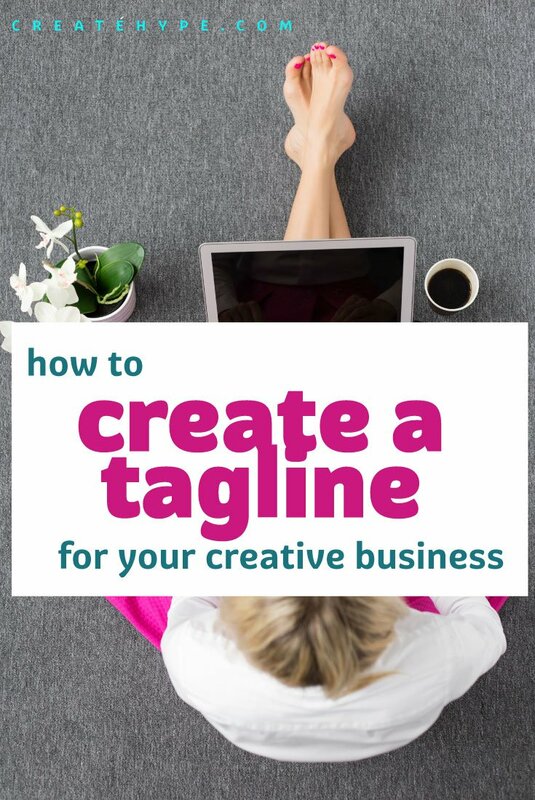 There are many other kinds of taglines and ways to create them, but if you’ve got nothing now or you’re just starting out, this is the fastest and easiest formula to follow. Very useful. Thank you. I’ve been playing around with my tagline recently. I thought that I might even change it every month just to see what happens and just so that I can work out what I’m all about. Love LOVE LOVE this post. Thanks for the guidance in creating a tagline! I’m starting a social media business and this article really helped me come up with some good lines. I’ve tried to squeeze myself into a tagline, but I don’t know if I’ve hit the mark.